Enjoy the sights of London with every cup of tea in this beautifully detailed Fine Bone China tea cup and saucer set. 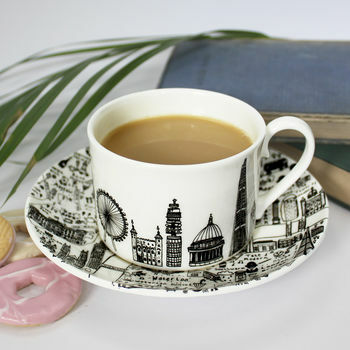 The design of the cup features some of the most recognisable buildings in the heart of the city including; Big Ben, the BT Tower, the London Eye, the Tower of London, St Paul's Cathedral, the Shard and the Oxo Tower. 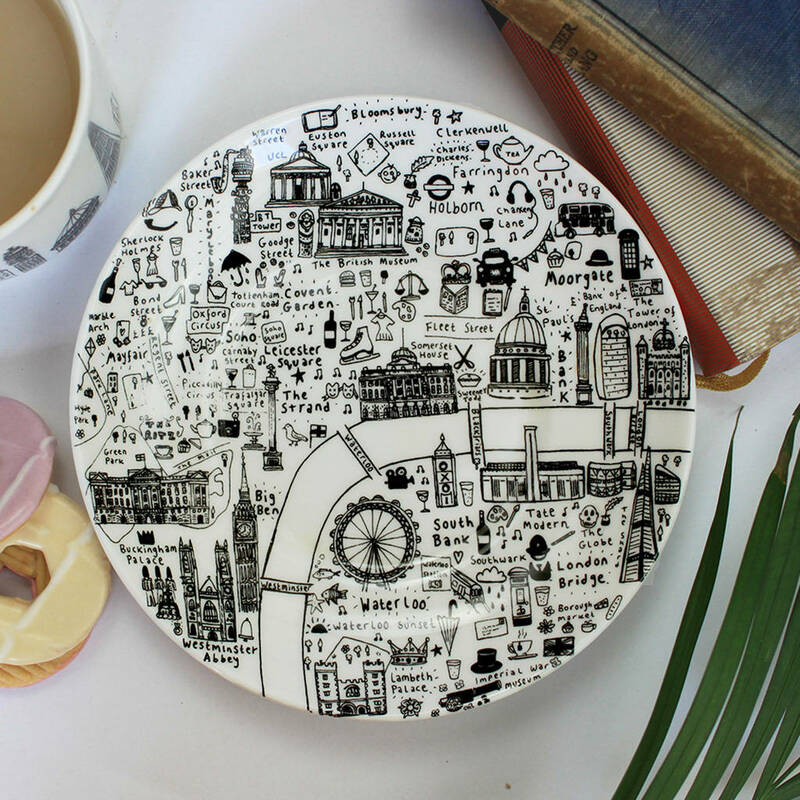 The saucer meticiously depicts a fun detailed illustrated map of the central London area. 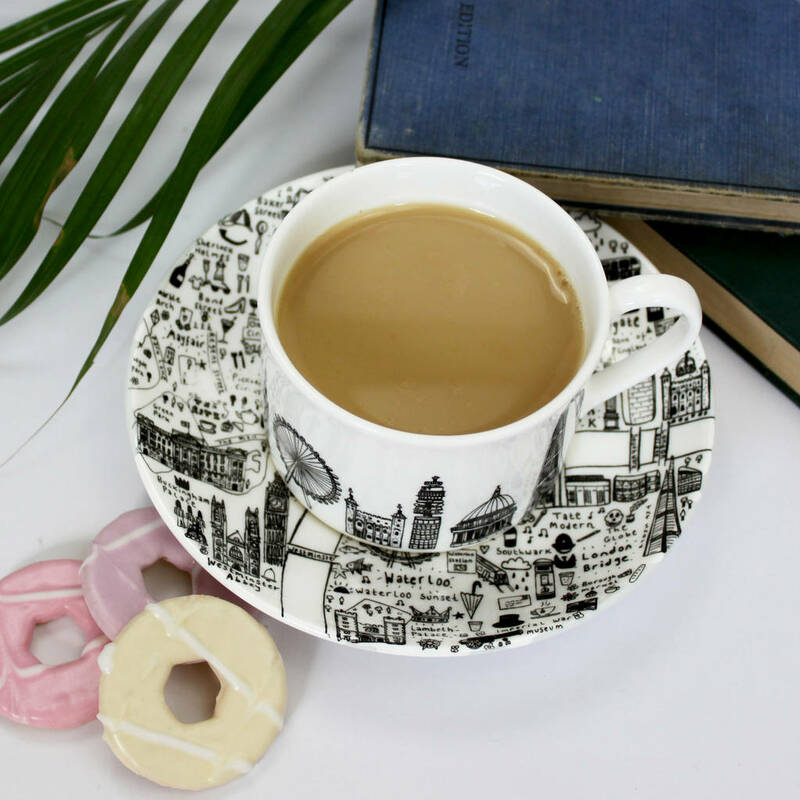 The ceramics are all Fine Bone China and are produced in the heart of pottery Stoke on Trent. Also avaliable in West, North, East, South East and South West London variations. Cup measures 5.8cm high, 8.2cm across (10.9 cm including handle). This product is dispatched to you by House of Cally.